"It is except for AGW, this is faith-based as there is not evidence. " "In parts of the Mesozoic it was not as hot but had higher levels of CO2, There is zero correlation." It isn't that black-and-white - less than perfect correlation is not zero correlation. From the physics, CO2 must have an effect; uncertainties are more from feedbacks; uncertainties are not infinite. Where there are variations that do not correlate, maybe there were other things happening at those times, such as (depending on time scale and magnitude of variations): biological evolution (such as evolution of land vegetation (albedo)), changes in geography (albedo, direct mechanical effects on atmospheric and oceanic circulations, direct thermal effects on atmosphere and ocean, interaction of thermal and circulation changes and other feedbacks). As experienced during the Maunder Minimum, the observation that there are few sunspots is associated with cold (see e.g. Fig. 2 at http://scienceandpublicpolicy.org/images/stories/papers/scarewatch/really_cooling.pdf ). This indicates a connection between sunspot count and energy reaching earth’s surface. It is revealing to plot against time the integral of the sunspot data reduced by a factor times the fourth power of the average global absolute temperature. This results in a graph with amplitude proportional to energy change and therefore an expected influence on average global temperature change. Adjust the factor so that the first part of the curve is fairly level. This graph shows a substantial and continued energy gain starting in about 1945. This corroborates the observation of a Solar Grand Maximum that went on for about 70 years and appears to have ended a few years ago. Now, look at the graph of average global temperature such as the NOAA data available at ftp://ftp.ncdc.noaa.gov/pub/data/anomalies/monthly.land_and_ocean.90S.90N.df_1901-2000mean.dat . Notice the approximate 30 year up-trends and down-trends that have been associated with the Pacific Decadal Oscillation (PDO). Note that from about 1945 until about 1975 the PDO down trend must have been a stronger forcing than the gain from sunspots since the temperature trend was down. After 1975 the PDO uptrend combines with the increased solar activity to produce the gain in average global temperature observed late in the 20th century. The sun has gone quiet and the PDO is in its downtrend. The PDO downtrend combined with the quiet sun is going to result in a continuation of the planet cooling trend. The sun has not been this quiet this long since 1913. Clouds are parameterized in the AOGCMs, are recognized as being very significant and are a recognized weakness in the analysis. Sunspot changes appear to be a catalyst for cloud changes and therefore have much greater influence than just Total Solar Irradiation. Re: "HOW does O2 cause cooling? Effects on the ozone layer? Interesting, but I need some numbers..."
"Geologists may have uncovered the answer to an age-old question - an ice-age-old question, that is. It appears that Earth's earliest ice ages may have been due to the rise of oxygen in Earth's atmosphere, which consumed atmospheric greenhouse gases and chilled the earth." I read your pdf (http://climaterealists.com/index.php?tid=145&linkbox=true) with some interest. I certainly agree with you that Feedback Control Theory is totally lacking in the field of Climatology. I remember reading an article by a leading Climatogist (a Ph.D and AGW sceptic) that had "discovered" that Feedback and Control theory was being taught in the building next to his....the faculty of Electrical Engineering. He briefly described a simple single feedback loop control system. He seemed amazed that this technology even existed. He certainly had no idea that feedback and control system concepts have commonly been used electronic circuit designs since the invention of the vacuum tube. I found this both amusing and sad. presents an interesting view on AGW models and the results obtained from them. _I remember reading an article by a leading Climatogist (a Ph.D and AGW sceptic) that had "discovered" that Feedback and Control theory was being taught in the building next to his....the faculty of Electrical Engineering. Really? This is astonishing ignorance, and did you say he's a "sceptic"? Yes, he is a sceptic. He is also a male, a human being, a consumer, a professor, wears pants, etc....does that hold any particular significance for you? "I certainly agree with you that Feedback Control Theory is totally lacking in the field of Climatology." It seems that you somehow totally missed the point,...I was commenting about the curriculum of Climatology as discussed by Dan Pangburn. It should be evident to you that field of Climatology includes some "AGW sceptics"....they all share the same curriculum. How is that different from climate model physics? The physics is the same, of course. However, most in the Climate Science Community are unaware of the science (which includes the physics) of Control System Theory. Control Theory should more properly be called Control Science, or better yet, Control Engineering since it has multiple practical common applications such as automobile cruise control, aircraft autopilot, missile guidance, electronic circuits, etc. etc. Control Theory is usually taught in mechanical, electrical and aeronautical engineering graduate school and is not in the Climate Science curriculum. Those who understand Control Theory have the knowledge to recognize that earth’s climate can be evaluated as a dynamic system with feedback. In the analysis, all of the minutia of weather and climate, whether known or not, get lumped together (in the control/plant which, by definition, includes all factors that influence average global temperature). The output, as archived in the ubiquitous Antarctic ice core data is extracted as temperature anomalies. Repeatedly during the last and previous glacial periods, a temperature increasing trend changed to a decreasing trend and vice versa. This is not possible if there is significant net positive feedback from temperature. It is not necessary to explicitly describe any of the factors in the control/plant (as used in Control Theory) to determine whether net feedback, if significant, is positive or negative. The average global temperature does not need to be known accurately just reasonable valid relatively. With this knowledge and the knowledge of the logarithmic decline in effectiveness of added atmospheric carbon dioxide it is obvious that there is no significant net positive feedback from increased average global temperature. Atmospheric/Oceanic General Circulation Models, AOGCMs, include the circulation effects of atmosphere and ocean. Climate Scientists use these global climate models to predict future climate. Although there may be no explicit input parameter for feedback in the AOGCMs, when used to predict future climate they incorporate features that result in significant net positive feedback. Without significant net positive feedback AOGCMs do not predict significant global warming. Zero feedback results in 1.2°C from doubling of atmospheric carbon dioxide per p631 of ch8 of UN IPCC AR4 (this 5.84 mb pdf file can be viewed and/or downloaded from http://ipcc-wg1.ucar.edu/wg1/Report/AR4WG1_Print_Ch08.pdf ). This IPCC prediction is probably still high because of faulty cloud parameterization, etc. Unless overwhelmed by other factors, an insignificant temperature increase of less than a degree Celsius, most of which has already taken place, is expected from doubling atmospheric carbon dioxide from the pre-industrial-revolution level of about 275 ppmv. See the pdf linked from http://climaterealists.com/index.php?tid=145&linkbox=true for a more extensive discussion and graphs. The Vostok Ice core data also show that the relationship between the Earth's temp and CO2 levels is probably linear relationship. I once plotted the the Vostok graphs on a computer using AutoCad and measured the change in temp vs the change in CO2 levels. Although this was just a crude approximation because I did not use actual data (just the graphs and only at a few points), the results showed that the change in CO2 divided by the change in temp was a constant (or very close). Because the change in CO2 divided by the change in temp is a derivative and produced a constant, this indicates that the equation describing the the relationship between temp and CO2 is probably linear. The IPCC uses this formula for an approximate calculation of CO2's relationship to changes in W/m^2 forcing EXCLUDING AMPLIFICATION(I will call it delta F). delta F = 5.35 LN( C/Co) where LN is the natural logarithm, Co is the CO2 in ppm for a starting point, C is the CO2 in ppm for analysis and F is the forcing in W/m^2. delta T = 1.59 LN ( C/Co) where delta T is the change in temperature (in deg C). A way to determine the "approximate" amplification factor that the IPCC uses for CO2. If the CO2 has gone from 1ppm to 290ppm (guesstimate for pre-industrial time) then delta T = 1.59 LN (290/1)= 9.02 deg C.
The AGW'ers say the Earth has warmed by about 33 deg C due to the Greenhouse effect, so 33/9.02 = 3.66 must be the Maximum amplification factor possible. The Ice Ages (Figure 7) shows the biggest variances (interpolating) for Temp is 13 deg C (+3 to -10) and CO2 is 120ppm (180 to 300). This is about 330 thousand years ago. The "amplification factor" for CO2 would have to be 13/0.812 = 16.0!! And, the "amplification factor" for CO2 would have to be 3.2/0.195 = 16.4 ! Clearly, the "amplification factor" varies so much, it is pure fiction....3.66 for the "Greenhouse Effect" vs about 16 for the Ice Ages! But, the MOST IMPORTANT thing this analysis shows is that, the CHANGE IN CO2 divided by CHANGE IN TEMP is really a CONSTANT (9.23 vs 9.38). The CHANGE IN TEMP divided by CHANGE IN CO2 is a DERIVATIVE that produced a CONSTANT. This means that the mathematical equation relating CO2 and TEMP HAS TO BE A LINEAR FUNCTION or close to it. Further, evidence of the LINEAR relationship is very apparent in the cyclical nature of CO2 vs TEMP in the Ice Ages graph. First, TEMP leads CO2 by about 800 years....CO2 follows TEMP LINEARLY! We know that the SUN's activity is cyclical in nature and CO2 absorbtion and release by the Oceans is governed by temperature. Temperature DRIVES CO2 production.....simple CAUSE and EFFECT. 1. It would HAVE to LEAD temperature not FOLLOW it. 2. The CO2 production (volcanos, bio-mass decay etc) would HAVE to occur in a "cycle" that produced the same sequence of events to produce the CO2 with the same regularity over about 400 THOUSAND YEARS!!! I would suggest that the probability of this happening is about ZERO. Dan have you looked into this as well? How does the likely possibility that CO2 has not caused of every single change in climate in the past, preclude it from being a significant cause at the moment? You guys do see the fallacy in insisting that, considering the complexity of the system, right? Dan Pangburn - Well, I don't see the value in using control theory if climate science has already advanced in every way beyond where control theory would be helpful. If control theory works, it must be more sophisticated than as suggested by your example, because you're results are incorrect. "Repeatedly during the last and previous glacial periods, a temperature increasing trend changed to a decreasing trend and vice versa. This is not possible if there is significant net positive feedback from temperature." This ignores the possibility that the temperature variations were externally forced. Positive feedback causes a cyclic variation in response to a cyclic forcing to be larger in amplitude than otherwise. In the shortest time periods, climate change response to a high frequency forcing tends to be damped by thermal inertia (heat capacity), although if modes of internal variability (unforced fluctuations, such as QBO, ENSO...) resonate somehow with forcing ...(?) - but also, in doing analysis, one can not assume that any variation within some interval of the spectrum of frequencies is actually being excited by external forcings with those frequencies, because, though alterable by external forcings, some internal variability will occur without any fluctuating forcing (QBO, ENSO, NAM and SAM, AMO? etc...). When temperature does change in response to external forcing, nearly instantaneous positive feedbacks include water vapor. Clouds will also be a nearly instantaneous feedback, but it is not so clearly and/or generally positive. Over longer periods of time, seasonal snow can be a positive feedback. Sea ice changes can be a positive feedback. Generally over longer timescales (especially during cooling, because snow can only accumulate as rapidly as it precipiates, whereas melting and distingration of ice sheets can occur faster (with uncertainty)), glaciers and ice sheets, and changes in vegetation (forests vs grasses vs deserts, etc.) can be positive feedbacks. Changes in the more rapid portions of the carbon cycle (soil, vegetation, atmosphere, oceans) can also be a (positive) feedback. BUT over even longer periods of time, the very slow CO2 removal from the atmosphere by chemical weathering and geologic storage by generally slow organic C burial tends to balance geologic emissions of CO2. Changes in geologic emissions and changes in topography, land surface composition, and geography can force the atmospheric CO2 level, but resulting changes in climate tend to cause changes in chemical weathering so as to reach a new equilibrium CO2 level; furthermore, chemical weathering tends to act as a negative feedback to climate forcing by other causes (with some complexities - it depends on geography and rock composition, etc...). "With this knowledge and the knowledge of the logarithmic decline in effectiveness of added atmospheric carbon dioxide it is obvious that there is no significant net positive feedback from increased average global temperature." The logarithmic proportionality of radiative forcing to CO2 level has no direct bearing on the climate sensitivity to radiative forcing. "This IPCC prediction is probably still high because of faulty cloud parameterization, etc." Actually, cloud feedback in climate models is small and ranges from negative to positive; the dominant positive feedbacks are water vapor and albedo. What you describe, different ratios of temperature-change/CO2-change at paleo time vs. 20th century, corroborates that CO2 does not drive temperature. Another analysis that looks at atmospheric carbon dioxide level change vs. temperature change can be seen in a video at http://www.climate-skeptic.com/ . Correlation does not prove causation but lack of correlation proves lack of causation. The lack of correlation of the sequence of 30 year long up and down trends of temperature during the 20th century with the smoothly rising temperature proves lack of causation, i.e. that CO2 level did not drive temperature. Measurements made during the last decade also corroborate this. Since 2000, atmospheric carbon dioxide has increased 18.4% of the increase from 1800 to 2000. According to the average of the five reporting agencies, the trend of average global temperatures since 1998 shows no significant increase and for the seven years ending with 2008 the trend shows a DECREASE of 1.8 C°/century. This separation of trends corroborates the lack of significant connection between atmospheric carbon dioxide increase and average global temperature. I wonder how wide the separation will need to get before the IPCC and a lot of others are forced to realize that maybe they missed something. "Without significant net positive feedback AOGCMs do not predict significant global warming." Approx. 1 deg C for doubling CO2 may or may not be considered significant; it is certainly a significant relationship of CO2 varies by a large enough amount. "Zero feedback results in 1.2°C from doubling of atmospheric carbon dioxide per p631 of ch8 of UN IPCC AR4 "
What I want to emphasize here is that the logarithmic proportionality of radiative forcing to atmospheric CO2 level has nothing directly to do with whether or not there are positive or negative feedbacks to radiative forcing or whether tipping points might be crossed as radiative forcing is changed. From the time scale dependence of feedbacks: There could be some exceptions, but the general tendency is for Earth's climate to vary the most in response to externally-imposed forcings with time scales ranging from perhaps many decades to perhaps hundreds of thousands of years, or something similar to that. Suppose at time 0, there is a sharp change in radiative forcing of + 4 W/m2 - perhaps from an increase in solar radiation absorbed over the Earth's surface (for an albedo of 0.3 and taking into account that the surface area of a sphere is 4 times its cross sectional area, a 4 W/m2 solar forcing actually requires about a 23 W/m2 increase in solar TSI, quite a bit larger than any variation known to occur outside the long-term solar brightenning over 100s of millions of years that is a characteristic of stellar evolution; recent solar TSI variations (over the period of time relevant to AGW) may be a tenth of that or perhaps less). (PS actually, often what is used for 'radiative forcing' is the tropopause level radiative forcing with an equilibrated stratosphere. I think this is the value that is close to 4 W/m2 (Actually maybe 3.7 W/m2, give or take a little) for a doubling of CO2 (and I think that includes the SW effects of CO2, which are much smaller than the LW effects but are present (CO2 can absorb some SW radiation). Radiative forcing at any level is the sum of a decrease in net outward (upward minus downward) LW (mainly emitted by Earth's surface and atmosphere) radiation at that level and an increase in absorbed SW (essentially all solar) radiation below that level; the climatic response involves changes in temperature that change the LW radiant fluxes to balance the forcing plus any radiative feedbacks that occur (which can be LW and/or SW). Variation in radiative forcing over vertical distance is equal to a radiatively forced heating or cooling. Top-of-atmosphere (TOA) radiative forcing is the sum of a decrease in LW emission to space and an increase in all absorption of SW radiation. An increase in solar TSI of 2 W/m2 results in a (globally averaged) TOA SW forcing of 0.35 W/m2 if the TOA albedo (the fraction of all SW radiation incident at TOA that is reflected to space) is 0.3. But the tropopause level forcing will be less than the TOA forcing because some of that 0.35 W/m2 is absorbed in the stratosphere - and it generally will be a larger fraction than the fraction of all SW radiation absorbed in the stratosphere, because solar UV fluxes are proportionately more variable than total TSI. each layer of atmosphere emits and absorbs LW radiation to the extent that it lacks transparency to radiation from behind it (in either direction). The surface also emits and absorbs LW radiation, almost as a perfect blackbody (but not pefectly; it does reflect a little LW radiation from the atmosphere back to the atmosphere). Along a given path at a given wavelength, Absorptivity = emissivity when in local thermodynamic equilibrium (a good approximation for the vast majority of the mass of the atmosphere and surface), where emissivity is the intensity of emitted radiation divided by blackbody radiation intensity (function of wavelength and temperature, and index of refraction, but that last point can be set aside for radiation in the atmosphere) for the temperature of the layer or surface, and the absorptivity is the fraction of radiant intensity absorbed along a path. As a path's optical thinckness increases either by geometric lengthening or by increasing density of absorbant gases or cloud matter, absorptivity and emissitivity both exponentially 'decay' from zero toward 1, or toward a lower number if there is reflection or scattering involved. Positive TOA LW forcing is caused a decrease in LW emission to space from increased opacity, which hides a greater portion of the (globally and time-averaged) larger LW fluxes from the (globally and time-averaged) warmer surface and lower atmosphere from space, replacing it with reduced LW fluxes from generally cooler upper levels of the atmosphere (the warmth of the upper stratosphere is in a very optically thin layer at most LW wavelengths and the thermosphere is too optically thin to have much effect). For relatively well-mixed gases (such as CO2), increasing concentration also cools the stratosphere by increasing the stratosphere's emmission to space and decreasing the upward LW flux that reaches the stratosphere. Thus, the tropopause level radiative forcing from an increase in CO2 is actually greater than the TOA level radiative forcing. Increasing LW opacity also tends to increase radiative forcing at the surface by increasing downward emission from the lowest (and generally, on average, warmest) layers of the atmosphere, by making them more opaque (they replace a fracton of the smaller LW fluxes from the upper layers and lack of LW flux from space with a larger increase in their emitted LW flux). Increasing solar TSI has a positive radiative forcing at the surface, which is smaller than that at the tropopause level because some SW radiation is absorbed in the troposphere. Volcanic stratospheric aerosols have a larger negative SW forcing at the surface and tropopause than at TOA because they absorb some solar radiation as well as scatter it. An increase in albedo at one level (at the surface or within the atmosphere) tends to produce a negative SW forcing, but it will be larger below that level than above to the extent that the increase in upward SW radiation above increases SW absorption (heating) above that level. An increase in absorption of SW radiation (such as by water vapor) only results in a positive TOA forcing in so far as it reduces the amount of SW radiation reflected to space (by intercepting SW radiation both before and after scattering), and will result in a negative forcing at lower levels. The stratosphere has a low heat capacity and tends to reach equilibrium with radiative forcing on short timescales (sub-seasonal, as I recall). Radiative forcing with stratospheric adjustment includes changes in LW radiation within and from the stratosphere resulting from stratospheric temperature changes. This tends to reduce the difference between TOA and troposphere-level forcing from before stratospheric adjustment. It is useful to use tropopause-level forcing with stratospheric adjustment because the remaining climatic response will tend to be more similar among different forcing mechanisms (solar forcing warms the stratosphere and thus stratospheric adjustment increases forcing at the tropopause; the opposite is the case with CO2), although there can still be differences in efficacy (the climate sensitivity to global and annual average forcing, to one forcing agent relative to a reference forcing agent - for example, black aerosols on snow and ice (I am not 100% sure but I think the effect may be amplified because the warming is concentrated in regions where there is a strong positive feedback, resulting in greater global-average warming per unit global average radiative forcing), and also, perhaps how the effects of solar, volcanic, well-mixed greenhouse gas, and stratospheric ozone depletion forcings affect the circulation patterns of the stratosphere and troposphere and interactions between them...(NAM, SAM, circumpolar vortex); also, solar forcing can change the ozone level in the stratosphere - but so can climate change in general (temperature dependant chemical reactions, polar stratospheric clouds, circulation patterns that bring ozone from the tropics to the high latitudes and then downward). Why is tropopause level radiative forcing so important? 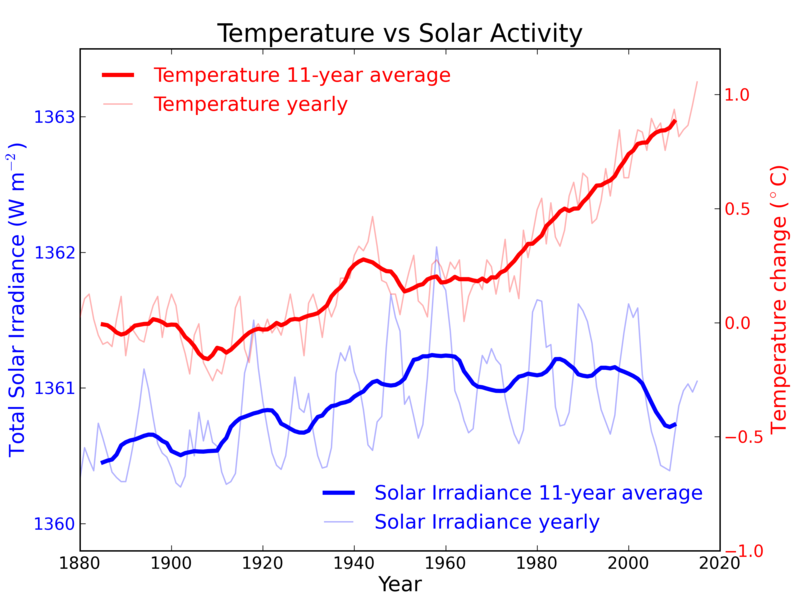 In the global average, solar heating, although somewhat distributed among the surface and atmosphere, is displaced downward relative to the distribution of radiative cooling to space. In pure radiative equilibrium, this would be balanced by radiative fluxes among the surface and different levels of the atmosphere. However, the temperature gradient required for such radiative equilibrium is unstable to convection in the lower atmosphere. Thus, the climate tends to approach a radiative-convective equilibrium, in which, to a first approximation, a net convective flux (including surface evaporative cooling and latent heating upon condensation/freezing of water) cools the surface and heats the troposphere, balancing a net radiative heating of the surface and net radiative cooling distributed within the troposphere. Localized vertical convection, where it occurs, causes the troposphere's vertical temperature distribution to approach neutral stability - a temperature decline with height near the adiabatic lapse rate (the rate at which temperature decreases due to expansion of some mass of gas with decreasing pressure, in the absense of a heat flux into or out of that mass). Because of condensation, the lapse rate that applies (except near the surface, below cloud level) is the moist adiabatic lapse rate - it is less than the dry adiabatic lapse rate because of latent heating upon ascent. It diverges most when latent heating per unit vertical lifting is greatest - which is at higher temperatures (found lower in the atmosphere). Thus the moist adabiatic lapse rate varies over the globe and with weather conditions and seasons, though a good representative value is 6 or 6.5 K per km. Because radiative fluxes by themselves would drive the lower atmosphere toward being convectively unstable, the surface and various levels within the troposphere tend to warm up or cool off together in response to forcings - they are convectively coupled. Any increase in radiative forcing at the tropopause level corresponds to some change in radiative heating below the tropopause level. If this radiative heating is concentrated at some level, it will, without changes in convective heat fluxes, warm up that level, decreasing vertical stability above and increasing it below, thus slowing convective heat transport up to that level from below and increasing it from that level to above. Convection thus spreads the heating effect vertically throughout the depth that convection can occur. So the surface and all levels within the troposphere warm up by similar amounts. The warming may be a bit less at the surface because the moist adiabatic lapse rate decreases with increasing temperature (assuming the cloud base level (lifting condensation level) does not rise on average, etc., because the dry adiabatic lapse rate applies to convection below that level and it is larger and is less sensitive to temperature). This is complicated by spatial and temporal variations. it is also worth pointing out for other reasons that reduction in CO2 radiative forcing by H2O vapor will be greater for surface forcing than for tropopause level forcing at least in part because H2O vapor relative concentration decreases generally exponentially with height, whereas CO2 is well mixed). There is, however, a (climate-dependent) average distribution of optical properties and their alignment with temperature variations, and thus radiative forcing, and the resulting temperature change takes time (short term weather phenomena can actually be described to a large extent without taking into account much radiation, except for the diurnal solar heating cycle). Clouds and humidity cannot realistically be rearranged relative to the horizontal and vertical distribution of temperature with infinite freedom; some things are linked by simple physics and some things correspond predictably because of the basic structure of the atmosphere and it's long-term climate (diurnal and annual cycles, land-sea and other geographical heating contrasts, the coriolis effect, Hadley cells, Walker circulation, monsoons, subtropical dry belts, midlatitude storm tracks, wind-driven and thermohaline ocean circulation, mesoscale convection phenomena, characteristics of variability in QBO, ENSO, NAM and SAM, PDO, AMO, etc, inertial oscillations, inertio-gravity waves, Rossby waves, ...). The global average radiative forcing by mathematical definition corresponds to a global average radiative heating rate below the level considered; if the level forms a closed surface, that heating, however horizontally distributed, cannot simply leak out without some change in climate itself - increased temperature to increase the net LW flux out to balance the radiative forcing + any radiative feedbacks. (When in climatic equilibrium, the Earth loses heat to space by LW emission at the same rate as it absorbs SW radiation (plus a TINY fudge factor for geothermal and tidal heating). This is a necessary but not sufficient condition for a climatic equilibrium, because climate change can in principle involve spatial and seasonal rearrangements of radiative heating and cooling and the convection/advection that balances them when averaged over fluctuations that could result in zero global-time average change in radiant fluxes. However, there are tendencies for the climate to behave in some ways and not others for any given set of solar, greenhouse, aerosol, geographic, biologic, and orbital (Milankovitch) forcings, etc. ); a longer term equilibrium climate can be defined that includes patterns/textures of cyclical and/or chaotic shorter term variability, both from internal variability and from forcing cycles and fluctuations on the shorter time scales (annual and daily cycles, volcanic eruptions (when the statistics of such short term episodic events do not vary over longer time periods, then the resulting short term climate fluctuations can be incorporated into a description of longer-term equilibrium climate). There are daily, seasonal, latitudinal and regional, and weather-related and interannual variations in the distribution of convection and vertical stability in particular. Because much or most latent heating is associated with precipitation that reaches the surface, regions of descent are often dry; descent is also often slow over large areas and so adiabatic warming may be balanced by radiative cooling. Horizontal heat transport in the air from regions where much heat is convected from the surface can produce regions where the air is stable to localized overturning; this is especially true of polar regions in winter, where the surface and lowermost air is often or generally colder than some of the higher tropospheric air. Over land, there is a significant diurnal temperature cycle at and near the surface that is not matched by a similar cycle above - this is because a majority of solar heating is concentrated near the surface over a smaller heat capacity (in sufficiently deep water, there is a large heat capacity that damps short-term temperature cycling; finite thermal conductivity into soil and rock limits the depth available to supply heat capacity for radiative cycling as a function of frequency); thus, the daily high temperature near the surface is more coupled convectively to the temperatures in the rest of the troposphere than the nightime/morning low temperature. The simple 1-dimensional globally representative model (describing everything in terms of a balance between vertical fluxes) also implies that the stratosphere is exactly in radiative equilibrium, but this is only approximately true for the global average. Some kinetic energy produced by overturning in the troposphere actually propogates (via Rossby waves and gravity waves) into the stratosphere and mesosphere and drives circulations there - that kinetic energy is converted to heat in the process, though it is a small amount - the larger effect, as I understand it - is large regional deviations from radiative equilibrium - sinking regions are adiabatically warmed, causing them to be warmer than the radiative equilibrium temperature, so they radiatively cool; rising regions do the opposite. 2. While the temperature response of the surface and troposphere together tends to follow the (global-average) tropopause level forcing, the distribution of radiative forcing will affect the convection rates and thus the circulation patterns. The greenhouse effect tends to decrease the diurnal temperature cycle near the surface by decrease the relative importance of solar heating in the radiative energy budget - by increasing downward LW radiation by increasing LW opacity, and maybe by increasing LW radiation in both directions by increasing temperature (but only to the point that the net LW flux from the surface doesn't increase (??)). This is related to the larger diurnal temperature cycle found in higher elevations and clear nights with dry air. Wind can reduce the diurnal temperature variation by producing turbulence to mix heat downward at night when the surface is radiatively cooling. Wow! You have been busy . . . This responds to 383. I will read your latest tomorrow. The egregious mistake that the Climate Science Community is making is obvious to those who understand Control Theory that have looked at the paleo temperature data. From your comments it is also obvious that you are unfamiliar with Control Theory. With knowledge of Control Theory you would recognize that your statements in 383 are mostly nonsense. With Control Theory it is trivial to determine that there is no net positive feedback from average global temperature. With no net positive feedback added atmospheric carbon dioxide has no significant effect on average global temperature. Quite the contrary, it proves that temperature changes from up-trend to down-trend (or vice versa), were externally forced. Selection of a suitably long trend avoids cyclic issues. This and later comments demonstrate a lack of understanding of what feedback means in a dynamic system like earth’s climate. If Control Theory makes any sense at all, I don't get that from your posts (no offense), so I'm going to look it up elsewhere. "This is kind of vague but appears to expose a fundamental lack of understanding of how gases absorb photons. Perhaps it would help to study work by Dr. Jack Barrett"
they also introduce extra uncertainties." But anyway, I have a really good understanding of radiative energy transfer in the atmosphere as it relates to bulk properties (emissivity and absorptivity, scattering cross section, etc, as a function of wavelength) - I have less detailed knowledge of the microscopic and quantum-mechanical mechanisms that give rise to this behavior, though I do understand the generalities (collision/pressure broadenning and doppler broadenning of line spectra, for example). My point was that, within some range of conditions, the tropopause level the radiative forcing by CO2 (integrated over all wavelengths and directions) can be approximated with a logarithmic relationship. This alone says little if anything of the relationship of the temperature response to radiative forcing. I have been searching for a metaphor to possibly provide insight into the relation between Climate Science and Control Theory. This is a poor one but will have to do until a better one comes along. Climate Science is like the complete definition of how to engineer a car. It defines everything in detail. For the car it would include the required size of gears, diameter of drive shafts, steering gear ratio, seat height, tire size, wire size, etc. etc. Control theory is like the patrolman who observes that the car is being driven too fast. The patrolman doesn’t need to know anything about how to design a car. He doesn’t need to know if some of the calculations may have contained errors. He doesn’t even need to know if there are factors making the car go that no one understands or even knows exist. In 386 you presented a huge list of details of what contributes to weather and by extension climate. I am not qualified to challenge that list, or determine if it is correct, adequately complete or even address it. In Control Theory, ALL of that gets lumped together into a box called ‘control/plant’ which is defined as ‘all factors that influence average global temperature’. The factors do not need to be defined in detail. They do not need to be correct. They do not even need to be known. By definition the ‘box’ in the Control Theory model contains ‘all factors that influence average global temperature’. The output in this Control Theory model is (by definition) average global temperature. Feedback is (by definition) the effect that average global temperature has on ‘all factors that influence average global temperature’. It is a trivially simple model but the science behind it is extremely powerful and proven in nearly endless successful applications. The planet itself is a perfect computer for weather and climate that, by definition, correctly accounts for all factors. The output from that computer is archived in ice cores and sediments. Using proxies, scientists have teased temperature anomalies (changes from a reference value) that are validated by being done by different people using different methods. For this assessment using Control Theory the data does not even need to be accurate in an absolute sense only reasonably representative in relative amplitude. Many sources report this data and a few are plotted from identified credible sources in my pdf file linked from http://climaterealists.com/index.php?tid=145&linkbox=true . The thing to be observed about this data is not the short term oscillations that average out but the long term trends of hundreds or even thousands of years. Now comes the crucial observation that may take an understanding of Control Theory. Repeatedly during the last and previous glacial periods, a temperature increasing trend changed to a decreasing trend and vice versa. With knowledge of Control Theory it is recognized that this is not possible if there is net positive feedback from temperature unless it is triggered by an external stimulus that is more powerful than the feedback. The observed temperature trend changes show that any positive feedback effect must have been smaller than the external stimulus. That is, the external stimulus called the shots and net positive feedback, if any, was less significant. The higher level of atmospheric carbon dioxide now results in changes to atmospheric carbon dioxide level being even less significant. If an AOGCM predicts otherwise it is either faulty or misused or both. It is unfortunate that most if not all Climate Scientists are unaware of Control Theory (it’s not in their curriculum). If they were knowledgeable in Control Theory they might not have made the egregious mistake of blaming Global Warming on added atmospheric carbon dioxide and misleading a whole lot of people. As far as one degree being significant, realize that it is one degree from the pre-industrial period and most of that has already occurred. I personally think that the influence of atmospheric carbon dioxide is much less than one degree and the temperature run-up at the end of the 20th century was a result of the Solar Grand Maximum combining with a PDO uptrend, both of which are now going the other way. If the politicians will just stay out of it, the free market will bring about acceptable solutions to the issues of finite supplies of fossil fuels. "Repeatedly during the last and previous glacial periods, a temperature increasing trend changed to a decreasing trend and vice versa. With knowledge of Control Theory it is recognized that this is not possible if there is net positive feedback from temperature unless it is triggered by an external stimulus that is more powerful than the feedback. The observed temperature trend changes show that any positive feedback effect must have been smaller than the external stimulus. That is, the external stimulus called the shots and net positive feedback, if any, was less significant." So what's the problem? We know very well that the primary driver of ice age cycles is the very slow cyclic variations in insolation patterns resulting from the slow cyclic variations in the orbital properties of the earth (Milankovitch cycles). The Milankovitch cycles result in changes in forcings that drive the transitions. The various positive feedbacks (slow ice sheet albedo and CO2 feedback and their accompanying fast water vapour feedbacks), amplify the effects of the insolation cycles (and "help" to transmit these globally - the evidence indicates that warming precedes CO2 rises in the Antarctic but follows CO2 rise in the Arctic). But that doesn't say anything about the magnitude of the feedbacks to rising CO2 levels which requires a rather more considered analysis. The climate sensitivity to CO2 (warming resulting from a doubling of atmospheric CO2 levels) is the temperature rise under conditions of constant insolation, and a great deal of empirical and theoretical analysis indicates that this is near 3 oC of warming per doubling of atmospheric CO2. Many of the changes in the ice age record that you are talking about involve rather small changes in atmospheric CO2 concentrations (20-40 ppm) which are expected to give rise to smallish temperature changes (including feedbacks) of 0.4 - 0.8 oC within a climate sensitivity of 3 oC. All your obervations indicate is that the ice age cycles (and most of the sub-transitions within the glacial periods) are dominated by the Milankovitch cycles, and the forcings resulting from insolation changes are larger than the small forcings resulting from raised CO2 levels (and vice versa for cooling). We knew that already! We also know that the observations from the ice cores are entirely consistent with a climate sensitivity somewhere around 3 oC. The ice core data tell us rather clearly that it's not just the main glacial-interglacial transitions that are dominated by Milankovitch cycles, but also the sub-transitions occurring largely within the glacial period which is what I suspect you're talking about (it would help if you were a little more specific!). The earth's orbital parameters are characterized by three major cycles having periods near 100,000 years, 41,000 years and 23,000 years. Since these cycles are out of phase a rather complex insolation pattern accrues from the "summation" of the cycles which matches the ice core data quite well. Kawamura et al (2007) "Northern hemisphere forcing of climate cycles in Antarctica over the past 360,000 years" Nature 448, 912-919. Apols for repeating this. I messed up the formatting in the previous version! Dan and Gord, the notion that climate scientists are deficient in their understanding as a result of limitiations in their “curriculum”, and more specifically that they are lacking crucial understanding of “Feedback Control Theory” (or “Control Engineering”, is extremely dubious! Perhaps you might suggest more specifically the insight that they are lacking and its consequences. 1. Scientists are not constrained by their “curriculum”. Most of what they learn comes from the real world practice of science, and the acquired knowledge and skills required to pursue their research endeavours, either first hand, or second hand (by collaboration). The notion that climate scientists lack a crucial expertise as result of their particular education is a silly one! Speaking personally my degrees were in Chemistry, but I now research in the area of Medical Biology and Biophysics. Pretty much everything I’ve learned and currently apply comes from studies and skills picked up (first hand) since my research education/training. It’s useful to use complex computational molecular dynamics simulations in my research, but since I consider it impractical to learn this field from the bottom up, I collaborate with expert practitioners in that subject. Likewise if I need to apply particularly complex statistical analyses, I tend to seek the help of appropriate experts….and so on. That second hand recruitment of appropriate skills within collaborative efforts underlies much of modern research. So scientists are certainly not stuck with what they learned from their educational “curriculum”! …then one might question its appropriateness for climate science, and might even suggest that its use of the concept of “feedback” might differ from the concept of "feedback" as applied in atmospheric physics and other elements of climate-related science. For example, it’s very clear that the earth system is not subject to elements of control such as those described in control theory (if the Wikipedia pages give a suitable description). The Earth system is not “designed” to lie within certain ranges of parameters like temperature. In general these properties respond to contingent phenomena/events. When, in the Archeaen ages over 2 billion years ago, oxygen from early photosynthesising organisms oxidised all of the dissolved iron in the oceans and started to be leached into the atmosphere, it oxidised the dominant greenhouse gas of the time (methane) and earth’s temperature plummeted to the extent that there is evidence for a global freeze (“snowball Earth”). There were no “control elements” maintaining temperatures, and the feedbacks (largely an albedo one) was strongly positive. The tectonic events accompanying the opening up of the N. Atlantic at the nascent plate boundary was the likely cause of the massive release of greenhouse gases (methane and CO2) that caused the rapid global warming, ocean anoxia, and the associated extinctions at the Paleo-Eocene Thermal Maximum. Again there were no “control elements” (associated with feedbacks) that acted to maintain the preceding ambient temperature. The Ice Ages (Figure 7) shows the biggest variances (interpolating) for Temp is 13 deg C (+3 to -10)"
I suspect this temperature is a regional one; the global average surface temperature variation between glacials and interglacials is somewhere around 6 deg C.
Within any sufficiently small interval, a 'nice' function (piecewise smooth) can be approximated by a line. As I just mentioned above somewhere, the logarithmic proportionality of radiative forcing to CO2 level is an approximation that does not apply indefinitely - specifically, at low enough CO2 level, the relationship will be closer to linear. The reason why: The general trend (applying to smaller peaks and valleys, across the multitude of individual absorption line peaks in the CO2 absorption band centered near 15 microns) is for absorption cross section (a cross section is the contribution to optical path length per unit mass (or moles); cross section per unit volume = optical path length per unit geometric length) to increase toward the center of the band near 15 microns. At sufficiently low levels, the effect is not even close to saturated at the tropopause level at most wavelengths, so increasing CO2 may have a nearly linearly proportional tropopause-level forcing. But eventually the wavelengths near 15 microns become saturated - the opacity becomes so great that there is very little temperature variation across any distance of significant transmissity, so further increases in opacity cannot much reduce the net radiative flux at that wavelength (a net radiative flux requires that there is some difference in radiant intensity coming from different directions - for LW radiation, some variation in temperature must be 'visible' at the wavelength being considered from a single location; when the opacity is large enough, temperature variations across a given geometric distance are essentially hidden from each other). However, outside this central portion of the absorption band, increasing CO2 still has significant LW forcing. The forcing becomes nearly logarithmically proportional to CO2 concentration, because for a given increase by some factor (such as by 2 - a doubling), the width of the interval of wavelengths of some level or greater opacity tends to increase by some nearly constant amount, as the width of the saturated interval increases, and the edges at which the opacity starts to become significant shift outward from the center. (Of course, blackbody radiation intensity will vary somewhat over wavelength, which will modify this picture just a little (not a large amount because their is not so much radiation intensity variation over the range of wavelengths encompassed by the CO2 absorption band. It will also be modified if the CO2 band expands into an area of greater overlap with an absorption band of some other substance - eventually, expansion of the CO2 band on the longer-wavelength side would run into greater opacity from water vapor. (PS such overlaps are taken into account in actually calculating the radiative forcing.). Because net air-to-air radiative transfer requires intermediate opacity - sufficient transmissivity for temperature variations to be visible to each other, but sufficient opacity for the layers of air to be visible from any distance - and because the region of intermediate opacity for CO2 corresponds to the sides of the band, in between the central saturated portion and the edges of significant opacity, and these regions merely shift outward from the center with increasing CO2 when in the logarithmic regime, the radiative effects of changing CO2 level are mainly on direct net radiative energy transfer between the surface and the air, from the air to space, and from the surface to space - EXCEPT where the spectrum of CO2 overlaps with water vapor or other agents - increasing CO2 will affect the radiative fluxes involving clouds, for example. Also, climate sensitivity (equilibrium global average surface temperature response per unit radiative forcing) is not expected to be invariant over temperature - but over a sufficiently small range it might be close to invariant. But for global cooling in particular, if we go beyond ice age cold, if we bring the 'ice line' into lower latitudes, the ice albedo feedback may reach a point at which the climate sensitivity actually becomes infinite. But not infinite to infinite temperature change - the infinite sensitivity just means that any infinitesimal negative radiative forcing would kick the climate over an edge and possibly cause complete freeze-over. You mentioned a lack of correlation of temperature to CO2 in recent times. Less than perfect correlation does not mean zero correlation. Over any given time period, even when there is cause and effect between two variables, one may find less or more correlation - there will be a scattering of correlations. This scattering will become large if the time periods are short. 1. There can be other forcings. I think the effect of solar forcing has been minor compared to anthropogenic effects in total and especially in the last few decades, but I wouldn't say it is zero, and there could be some climate variation corresponding to shorter-term cycles (11 years, etc.). There is also the occasional volcanic eruption. Anthropogenic aerosol forcing (of various types, but adding up to a net cooling effect) has not been in constant proportion to anthropogenic greenhouse gas forcing; this could explain part of the lack of warming between ~1940 and ~1970. There is internal (unforced) variability that originates from the climate system. El Nino years tend to be warmer than non-El nino years, for example. I don't know about the temperature relationship with the PDO (I suspect Spencer's analysis about cloud feedback is incorrect - I have looked at it and I didn't find it convincing). The AMO may contribute some multidecadal oscillation. Climate models do simulate such variability (maybe not the AMO specifically ??? - but in general, and they do reproduce at least some specific modes of internal variability, such as ENSO) - climate models, all of which produce a warming in response to a CO2 increase, also produce short term warming and cooling trends that have no correlation to CO2. CO2 has been a positive feedback in the glacial-interglacial variations. Going farther back in time, During the Phanerozoic eon (going back over 500 million years) the major 'ice-house' periods (including glaciations and also periods with less but still significant ice, such as now (Antarctica, Greenland) correspond to periods with lower CO2 (there had been some lack of correlation for the brief cold snap of the Ordivician, but newer work suggests that a sufficient drawdown in CO2 at that time could have or would have been caused by enhanced chemical weathering caused by the rise of the Appalachian mountains). I am not saying that other factors have not contributed, although sometimes they may contribute via CO2 as well as or instead of in addition to CO2. 1. water vapor increases - a positive feedback. 2. snow and sea ice area decrease - a positive feedback. 3. Large land ice sheet area decreases - a positive feedback. 4. the chemical weathering rate increases - a negative feedback that removes CO2 from the atmosphere. Water vapor tends to approach an equilibrium with temperature over a several days. Snow and sea ice might take a bit longer (it may depend on how well they initially preserve themselves by keeping the local temperature response less than proportional to the global average response and the equilibrium proportions). But I think both of these respond faster than the temperature itself responds to the forcing (because of thermal inertia - that is, the heat capacity of the oceans). Thus, these feedbacks amplify the equilibrium temperature fully by the time equilibrium temperature is reached. Now we have, after a few decades or so, a new equilibrium climate, with a full response of the atmosphere and upper ocean (aside from any other changes yet to occur). However, there are some areas of upwelling of water from the deep ocean that will still warm up - they will warm up as the warmth spreads from the warmer upper ocean through the deep ocean, to return in upwelling regions. Also, the land ice sheets take time to fully respond to a temperature increase. Thus, there is still warming in store. It may not be at a constant rate because of the idiosyncracies of how ice sheets shrink. But eventually, some new equilibrium is reached with the ice sheets in equilibrium with the temperature and the temperature of the deep ocean in equilibrium with the upper ocean and atmosphere, etc. But during all this time, chemical weathering has increased. The increase is, however, a small rate. As CO2 is removed from the air, the chemical weathering rate will slow both because of cooling and because there is less CO2 to remove, so it is a negative feedback that results in a reduced (but not zero) warming. Because it is slow, it does not not reach any such equilibrium before the other processes have gone to equilibrium. Hence, the temperature reaches a peak from the other positive feedbacks, and then slowly declines until this negative feedback (and the positive feedbacks' reaction to it) reaches equilibrium. In the Archean eon, methane had been building up in the atmosphere as a result of methanogens metabolizing the products of oxygenic photosynthesis (some methane can also be produced by oxydation of ferrous Fe as in hydrothermal activity; this could have been important in the origin of life). Oxygen reacted with ferrous Fe to produce ferric Fe - this removed Fe from the oceans (ferrous Fe is more soluble than ferric Fe), producing BIFs (banded iron formations - a present day source of iron for human industries). Oxygen could also react with some of the reduced carbon produced by life. However, methane in the atmosphere would eventually be dissociated by UV radiation. Because methane (unlike water) does not condense in the atmosphere, it mixes more easily into the upper atmosphere, and photolysis of this methane would enhance H escape to space. This ultimately left oxygen (from the photosynthesis that fed the methanogens) behind, so after enough had reacted with ferrous Fe, etc, it accumulated in the atmosphere. While CH4 was in the atmosphere, the warmth would have allowed some rate of chemical weathering to keep CO2 levels lower than otherwise. But once the Earth is locked in ice with a high albedo, it takes much more CO2 to start a thaw than would have been sufficient to prevent the freeze. With the chemical weathering shut down and the oceans frozen over, geologic emissions to the air are free to build up over millions of years. Eventually, this warms the equatorial regions to just above freezing. The ice recedes. The climate is unstable when the ice line is at such low latitudes, and the ice rapidly recedes to higher latitudes, and then melts completely. With all the CO2 it took to start the thaw, the reduction of albedo now leaves the Earth in a sauna-like state. This may be the one kind of Earthly situation when chemical weathering is rapid. Although slow, there was some very weak water cycle during the Snowball, with evaporation from some ice surfaces and accumulation to produce glaciers, which, given millions of years, could cause some significant mechanical erosion. After the thaw, the high temperatures, the surface area of glacial debris, and the high CO2 level itself cause a rapid CO2 drawdown. Carbonate minerals are rapidly deposited in the ocean. The climate cools. Oxygen levels never decrease again to where they were in the Archean eon, but they are not as high as now. During the middle of the Proterozoic eon, there is enough oxygen to make the uppwer oceans oxic, but the deep oceans are still anoxic, and the effect of the oxygen on the sulfur cycle has made the deep ocean sulfidic, which reduces the solubility of a couple of key nutrients in the ocean that are involved in nitrogen fixation, perhaps slowing the evolution of life. Eventually the deep oceans become more oxic. But the oxygen levels are still not as high as in the Phanerozoic eon. Perhaps due to the breakup of the supercontinent Rodinia and the low-latitude concentration and arrangements of the continents, or maybe for some other reason?, (this might not be exactly the scenario proposed; but something like it has been suggested) methane might be produced at a greater rate. It can never become as abundant as it was in the Archean, but it can have an effect. A sudden change in the methane supply due to ecological interactions with ocean currents or... etc, could lead to a rapid reduction in methane in the air (continually lost to oxydation), and if the reduction is fast enough, cooling could set in faster than the resulting chemical weathering feedback could moderate it. Because of the continents being at low latitudes, the chemical weathering rate might be less sensitive to temperature changes. Sea ice forms and grows, and when it gets to low enough latitudes, complete freeze over is imminent. There are variations on this concept (the 'Slushball Earth', etc...). It is harder to have a Snowball Earth now because the sun has gotten gradually brighter over hundreds of millions of years. The coriolis effect also slowly weakens with time due to the tidal drag on the Earth's rotation that causes the moon to recede from the Earth. My understanding is that a larger coriolis effect (from faster rotation) would reduce the horizontal heat transports that occur for a given thermal gradient, allowing the pole-to-equator thermal gradient to be larger; this affects the sensitivity of the ice line to temperature changes. Biological evolution has important effects; I forget what but I have read that some change in biology may reduce the likelihood of a snowball Earth episode from occuring again. A prolonged glaciation tends to reduce the chemical weathering rate, which is a negative feedback via CO2. However, lowered sea level may increase chemical weathering by exposing more land to erosion (but would carbonaceous sediment oxydize as well, increase geologic CO2 emission?). Also, glaciations cause mechanical erosion, and repeated fluctuations between glacials and interglacials may enhance the longer-term average chemical weathering rate because of the glacial debris that is left behind during warm periods. Sediment produced by mountain glacial erosion can of course be transported downhill to warmer levels where chemical weathering occurs. Land vegetation also affects erosion and chemical weathering. Geological factors can force the chemical weathering rate. The formation of mountain ranges at low latitudes in moist climates (Himalayas) will increase the chemical weathering rate (note also that geography plays a role in the precipitation rate on the Himalayas by affecting the monsoons). The erosion of some minerals is better at removing CO2 from the air than some other minerals. The climate response to orbital forcings is a bit more complex than forcings like solar brightenning or externally-imposed CO2 forcing. If the climate is not cool enough, ice sheets will not form at all and there might not be any global average cooling. There are other things I could say about it but I have to take a break from this. Except one other important point: When discussin climate sensitivity to radiative forcing by CO2 and CH4, feedbacks that work through CO2 and CH4, important though they may be, are not actually counted toward the climate sensitivity to the CO2 and CH4 forcing - they add to the forcing. Climate sensitivity thus depends on context. Generally, feedbacks that are slower-acting than a change being considered may be treated as forcings. Radiative feedbacks can be described by their radiative 'forcing', but that is not to imply that they are not feedbacks. The total greenhouse effect may be a radiative forcing of about 155 W/m2 - but that includes water vapor and cloud LW effects. If only CO2 were removed, much of the water vapor forcing would also be revoved as a feedback. Here are some more links that really describe a positive feed-back loop. Here is a funny cartoon that illustrates the positive feedback in the Greenhouse Effect physics. Chris 390: There is no muddling. Milankovitch cycles are far too long to significantly influence the trends. Trends remote from the glacial/interglacial and interglacial/glacial transitions are intentionally considered to avoid the issue. Chris 392: The insight that the Climate Science Community is lacking which is readily obtained using Control Theory is that atmospheric carbon dioxide has no significant influence on average global temperature. The consequences of failure to determine this is that a whole lot of people have been misled and freedom and prosperity are at risk. A lot of resources that could be spent usefully are being spent to investigate a non-problem. The use of Control Theory in assessment of whether the feedback from average global temperature is significant and positive is quite different (simpler) than the usual control problem which is to design a controller to accomplish some desired result. Engineers familiar with Control Theory quickly understand it. I have also observed that the use of the concept of “feedback” as successfully used in Control Theory when applied by engineers in designing real systems differs somewhat from the concept of “feedback” as applied in atmospheric physics and other elements of climate-related science. They are similar in that the response influences the stimulus. Engineering systems often have a feedback of one or more. What happens to the function 1/(1-F) as used in climate science when the feedback, F, equals 1? At low values of feedback there is no significant difference between the function used by climate scientists and the function used in engineering which is 1+F. The idea that climate scientists appear to have which is that there are different feedbacks and they can have different response times is bogus. Control Theory analysis shows that added atmospheric carbon dioxide has no significant influence on average global temperature. It does not get mired in the minutia of climate details because all factors are lumped together in ‘all of the factors that influence average global temperature’. All statements and assumptions that added atmospheric carbon dioxide has a significant influence on average global temperature lack substantiation. Referring to the multi million year long Ordovician ice age as a “cold snap” is strange. Regarding approximating a log function as a linear function over a short period of time. This is true, however, the long term cycles for CO2 and Temperature that the Vostok Ice core data shows (over about 400 Thousand Years)is also very strong evidence that the relationship between Temp and CO2 is linear. Ex. An audio amplifier is considered to be a "linear amplifier" if the output follows the input signal linearly. The amplifier may have a "Gain" and a "feedback loop" (or multiple feedback loops) but the transfer function relating the output and input has to be linear. This is part of Feedback and Control Theory and Practice used in Electrical Engineering. In fact, this is a common method used in Electrical Engineering lab exercises. You are given a "black box" with some circuitry inside which is unknown to the student. By applying an input signal and viewing the output, you can fundamentally describe the circuitry in the "black box". If one applies enough input signals and analyses the output signals with respect to "rise times", "amplification or loss", "linearity and distortion" etc. you would be surprised how accurately one can determine the contents of the "black box"! This practice is commonly called "Reverse Engineering", a term most people probably have heard of before. Linearity over multiple cycles combined with shorter term measurements that confirm linearity is very strong evidence that the relationship between Temp and CO2 is linear. "it's not just the glacial-interglacial transitions that are dominated by Milankovitch cyclesbut also the sub-transitions occurring largely within the glacial period which is what I suspect you're talking about (it would help if you were a little more specific!)." Why not be specific and highlight some specific periods. Which specific trends are you talking about? that have periods near 100,000 years (eccentricity), ~41,000 years (obliquity) and ~23,000 years (precession). Since these cycles are out of phase a rather complex insolation pattern accrues from the "summation" of the cycles which matches the ice core data quite well. As shown in a recent study, the ice core proxy temperature and 18-O signals in the cores can be Fourier transformed to pull out the dominant freequency components. The power spectrum shows clear strong peaks at 111,000, 41,000 and 23,000 years. In other words the temperatures are varying as a strong function of the intermixed contributions of the various Milankovitch cycles. So clearly the Milankovitch cycles are clearly not "far too long to influence trends". In fact the dominate the trends in the entire record. In these circumstances CO2 levels and their resultng feedbacks are a secondary consequence on the slowly varying insolation patterns driven by the earth's orbital properties. That in itself says very little about the magnitiude of the feedbacks which requires a rather more careful analysis. Your comments about Control Theory are just unsupported assertions. That's more "mantra" than science! A very obvious problem with your misapplication of control theory concepts to atmospheric physics is in your suggestion that engineering-style feedbacks and feedbacks in the climate system are similar in that "the response influences the stimulus" . But that's not quite right. When solar warming or changing insolation patterns during ice age cycles produece a water vapour and CO2 and albedo warming feedback, these "responses" don't "influence the stimulus". Clearly enhanced atmospheric water vapour and enhanced CO2 doesn't "influence" the sun nor the Earth's orbital properties. So there's something fundamentally wrong with your application of engineering concepts to the climate system in that respect. Of course there are engineering-style elements of feedbacks in the climate system. Enhanced CO2 results in a water vapour feedback that both enhances the warming resulting in enhanced water vapour and (very slightly) further enhanced CO2. There's nothing difficult to understand about that. Again we can observe this in the real world. As atmospheric CO2 levels rise so the atmopssphere warms and atmospheric water vapour levels rise. Following major eruptions the atmosphere undergos a transient aerosol-mediated cooling and water vapour levels drop amplifying the cooling. These are all well-characterized observations in the real world [***]. One can't argue away reality by assertion! "Referring to the multi million year long Ordovician ice age as a “cold snap” is strange. " It was a snap compared to the later Paleozoic cold period and the recent Cenozoic cold period (that we are still in). That's all I meant by 'snap' in that context. As to how intense it was, I'm not sure. "very strong evidence that the relationship between Temp and CO2 is linear." Well, maybe the relationship between temperature and radiative forcing from CO2 is nonlinear, then. Which does not necessarily imply the same for temperature response to CO2 as an external forcing, because the climate response to orbital forcing is complex. "If one applies enough input signals and analyses the output signals with respect to "rise times", "amplification or loss", "linearity and distortion" etc. you would be surprised how accurately one can determine the contents of the "black box"!" "This practice is commonly called "Reverse Engineering", a term most people probably have heard of before." So control theory in the context of climatology is called 'paleoclimatology' and 'observations', plus analysis. Okay. We have people who do that. Why do we need to call it by a different name. And why must we ignore what we know about the physics of the contents of the black box from other fields/kinds of research? It might be easier for me to understand your logic if you describe what you'd expect to see from your black box if there are positive feedbacks. "The idea that climate scientists appear to have which is that there are different feedbacks and they can have different response times is bogus." I have a mass that is supplied with heat by a heat source and is cooled by a heat sink. The mass has two rods attached to it, with sensors at the end that adjust the heat source in response to measured temperature. One is short and thick, made of aluminum, and the sensor at the end sends a signal to increase the heat source in response to an increase in temperature. One is long and thin, made of rubber, and it's sensor sends a signal to decrease the heat source in response to an increase in temperature. There is also a third sensor embedded in the mass that sends a signal to increase the heat source in response to an increase in temperature. The mass has a heat capacity C. What happens if you reduce the heat sink? Actually, in my tangible analogy, it doesn't matter how thick the rods are if they are of constant thickness along their whole lengths. That's one of the most idiotic things I've ever seen. Gord and I both agree that the chicken will not heat itself up. But Gord insists (by analogy from his actual comments) that this implies that the mirror cannot reflect photons back to the chicken. If a chicken is placed inside a mirrored container (mirrored at the relevant wavelengths), it will not increase in temperature because of the photons that return to the chicken after leaving it. But, if a warm chicken is placed inside a mirrored container, or if it is wrapped in aluminum foil, the reflection of photons back to the chicken will keep the chicken from cooling off (Setting aside convection and conduction). Even if the chicken is not completely covered, it will cool at a slower rate than if it were left completely exposed to a cooler environment (it loses heat to a cooler environment because (setting aside convection and conduction) there is less radiant flux per unit area reaching the chicken from the cooler environment than there is leaving the chicken to the cooler environment; it is a net energy flow). If heat is being supplied to the chicken at some wavelength that can pass through the mirrors or foil, the chicken will reach an equilibrium temperature when the rate at which it radiates heat to the cooler environment equals the rate at which heat is supplied; if the chicken is less exposed to the cooler environment, it needs to get to a higher temperature in order to get the same heat energy per unit time radiated out into the cooler environment. What if the foil is replaced by a sheet of carbon that absorbs radiation from the chicken? If the chicken recieves heat by some form of energy that can pass through the carbon, then - assuming the sheet of carbon completely covers the chicken and is perfectly opaque (and is tight around the chicken - so it's surface area exposed to the cooler environment is approximately the same as the surface area of the chicken)- it must lose heat to the carbon at the same rate if in equilibrium. But in equilibrium, the carbon must also lose heat at the same rate to the cooler environment. The equilibrium temperature of the carbon sheet will be the same (or approximately so) as the temperature of the chicken when the chicken is completely exposed. The chicken must be at an even higher temperature in order to lose heat to the carbon sheet. If the carbon sheet does not completely cover the chicken, the chicken's equilibrium temperature will drop the more it is exposed. If additional layers of carbon sheet are added, each raises the equilibrium temperature of all layers inside. This works both for radiation and for convection and conduction - additional sheets do not do much more to stop convection but they increase the distance through which heat must conduct to reach the outermost surface, and the rate of heat conduction per unit area is proportional to the temperature variation per unit distance. This is how winter coats work - they slow the loss of heat by conduction, convection, and radiation, from your skin to the environment, for a given temperature difference between your skin and the environment; thus, if your skin is heated at the same rate by your metabolism, it will rise to a higher temperature before it loses heat at the same rate to the environment when that heat must get through your coat. Gord also mentions feedbacks purely between radiant fluxes and temperature. These do exist, but are not generally considered as 'climate feedbacks' - they are included in the the 'zero feedback climate response'. What are considered as feedbacks to the zero feedback climate response include changes in the tropospheric lapse rate**, and changes in composition and phase - humidity and clouds, dust, etc, snow and ice and anything else affecting the albedo of the surface, etc, and their arrangement relative to solar radiation and temperature distribution. The zero feedback climate response is understood to be the temperature response (including how it reacts to itself by changes in radiation with emissivity and absorptivity, scattering and reflectivity held constant****) with the arrangment of humidity, clouds, and the tropospheric lapse rate** in space and time (annual and daily cycles, internal variability) artificially and unrealistically held constant. Dan - you shoud also know that Gord thinks (as is infered from the way he uses the term 'perpetual motion machine') that any object that is warmer than 0 K (absolute zero) must be a perpetual motion machine because of the constant activity on the molecular scale. Well, to be serious, he just doesn't seem to believe that there is such activity on a molecular scale. Or maybe he does and just refuses to be logical about the consequences. By his logic, you would burn yourself if you ever walked by a functioning mirror, and thus, functioning mirrors are physically impossible. The ~ 100,000 year cycle is the eccentricity cycle. It modulates the effect of the precession cycle (if/when the eccentricity is near zero, the precession cycle has little effect). The 100,000 year cycle actually varies over a longer period of time. The ~ 40,000 year cycle is the obliquity cycle, in which the tilt of the Earth's axis relative to the normal of the orbital plane varies a few degrees. Higher obliquity increases the amplitude of the seasonal cycle, and in the annual average, redistributes incident solar radiation from the tropics polar regions. The obliquity cycle has a greater effect at high latitudes than at lower latitudes (the increase or decrease in insolation at low latitudes is smaller than the compensatory opposite change at higher latitudes because the area at high latitudes with the opposite change is smaller than that at low latitudes (as I recall**); also the seasonal cycle caused by obliquity is much larger at higher latitudes). The ~ 20,000 year cycle is the precession cycle. It is actually the result of a somewhat longer cycle in the orientation of the tilt of the Earth combined with a longer period cycle in the orientation of the semimajor axis of the Earth's orbit. In the precession cycle, the Earth's axis wobbles about the normal of the Earth's orbit, so that the timing of the seasons shift around relative to the timing of perihelion and aphelion. The precession cycle has opposite effects in each hemisphere. Currently, perihelion occurs in Northern hemisphere winter (near the solstice) and Southern hemisphere summer, making the seasonal cycle larger in the Southern hemisphere and smaller in the Northern hemisphere. It also increases the annual average insolation in the Southern middle and high latitudes and reduces it in the Northern middle and high latitudes, because the increase in solar insolation at perihelion relative to aphelion is in proportion to the solar insolation recieved at the time of year at the latitude considered, so the increase in insolation at perihelion is closer to the winter solstice cannot fully make up for the decrease at aphelion when aphelion is closer to the summer solstice. The effects depend on the arrangments of continents and oceans, etc, the general climate state and other forcings, and the biological species present. Even when there are not glacial-interglacial variations, the precession cycle continues to have an effect on low-latitude monsoons (this is why the Saraha desert was significantly wetter several thousand years ago). There are thresholds involved... the forcing must at least reach some level to have some effect (such as producing lakes in the Sahara), and that may not happen each time the cycle repeats because of the eccentricity cycle. Ice sheets and glaciers can only form as fast as snow accumulates, but can melt and disintegrate faster. As solar insolation is redistributed over space and time, it is possible the global albedo may vary - for example, higher obliquity and winter perihelion may direct more sunlight onto snow and ice, reducing the total solar energy absorbed. Conceivably, sometimes the same pattern that would favor warming by deglaciation might actually cause some initial global cooling (?). When ice sheets form and grow, they thicken, and the surface elevation increases. Over time, isostatic adjustment occurs, but the ice surface elevation is still higher than the initial land surface elevation. This elevation causes the surface to be colder than it otherwise would be. Thus, in addition to the regional effect of albedo, it may be necessary to go beyond the threshold of forcing that allowed glaciation to start in order to actually cause deglaciation - however, melting and evaporation around the edges of an ice sheet will cause greater flow out of the higher middle and thin the middle that way. Also, if/when ice sheet loss is faster than isostatic rebound, the surface elevation will get lower than otherwise for the same thinning of the ice sheet. It may be the case that the first several Northern hemisphere glaciations of the last millions of years produced ice sheets that flowed faster for a given elevation gradient due to lubrication underneath from soil and loose rock/sediment. This faster flow would make the ice sheets thinner. Eventually this lubrication would be lost as successive glaciations scoured away the loose material. Thus later ice sheets could have grown thicker. It has been suggested that this is why, around 900,000 or 700,000 years ago (which one? ), the dominant period in glacial-interglacial variations shifted to the longer 100,000 year cycle. Whether or not that is why, it is possible that the 100,000 year eccentricity cycle can dominate if conditions occur such that only 1 in 5 peaks or so in the precession cycle are able to pass the threshold that causes large deglaciation, as opposed to most or all. In the middle ages, various officials, bureaucrats etc could not accept the idea that the earth is relegated to sub-ordinance to the sun (ie the earth revolves around the sun, rather than the other way around), because it conflicted with everything they learnt in bringing order and direction to the world, and from a well-defined social hierarchy. Modellers, and those in government agencies today, I would argue also don’t like attributing the sun to climate change partly because it conflicts with their need to bring order to a disordered world, and makes them, and all of what they have learned and can influence, irrelevant. It relegates human influence (or human-induced global warming) irrelevant. I would contend that the same psychological processes regarding resistance to the sun’s influence is going on today, because officials, and governments, essentially don’t change psychologically. But the sun will eventually win the climate debate, just as it did in the middle ages, because eventually the data will become unequivocal. There are reasons why people believe things that are not true, but the fact that it's possible to imagine a reason why people believe something does not make everything that people believe not true. To hold that changes in the sun are the dominant factor in the last several decades of climate change requires a leap of faith. With regards to your comment, I would say it is a leap of faith to argue that human affairs and a trace gas is driving global warming to catastrophic global climate change, when human and geological history shows otherwise. In contrast to Europe's middle ages, many ancient societies had the sun at the centre of their 'social affairs' (eg Egypt, Aztec etc), for reasons that are quite simple- changes in seasons, droughts, floods, seasonal crop yields etc etc were all directly related by whether or not the great ball in the sky was being favourable to their particular needs. If there was too much sun there would be drought, too little there would be flood etc, or so the thinking went. The sun was pretty much responsible for their longer term welfare. This largely explains sun worship that developed in many ancient cultures. A different kind of society developed in parts of the Middle East, Europe, and some other places, where the sun was relegated to a far more subordinate role. Human affairs would be controlled largely by bureaucrats, officials, and the existing social order, not the pie in the sky. Particularly in areas where the seasons and climate didn’t fluctuate a great deal, the role of the sun, naturally, was relegated. One of these areas was Europe, where the seasons are predictable and aspects of climate like rainfall is fairly uniform over the years, and where bureaucrats, and their influence, therefore got the better of things. Humans and human influences would control social affairs, not something as irrelevant as the sun. And one could argue that this is a natural development over the centuries in a continent where climate doesn’t vary much, but human needs and social affairs certainly do. And by no means would the sun be at the centre of things- humans and the existing social order- would be at the centre of social affairs. And so there was strong resistance to the idea that the earth revolved around the sun and that it, and human affairs, was subordinate to it, in much the same way that today there is resistance to the idea that the sun drives climate change and associated politics and ‘social affairs’. It is simply not in the traditional bureaucratic psyche of the western world to be favourable to the idea that the sun controls ‘human affairs’, and that bureaucrats and their influence, is irrelevant. I am sorry that you have trouble understanding my posts. I often make the mistake of assuming that others have my insight. The shortest Milankovitch is about 23,000 years so there can be no significant coupling. If you are familiar with the concept of impedance mismatch you will understand this immediately. It is obvious that you have little knowledge of Control Theory. In Control Theory, feedback is a dimensionless number that is defined as the influence that the response has on the input to the control/plant (my use of the word stimulus was apparently misleading). As used in climate science, feedback usually has units that can not be normalized by being divided by energy input. Thus these climate science feedback values are not directly applicable in Control Theory. Sometimes in climate science, feedback is defined in a way indicating that it is unitless such as described at http://climatesci.org/2008/04/08/has-the-ipcc-inflated-the-feedback-factor-a-guest-weblog-by-christopher-monckton/. One reference which gives their definitions for use in both climate science and Control Theory is at http://www.answers.com/topic/feedback . To avoid ambiguity, I will use CT feedback when referring to it as always used in Control Theory as first described by Bode in 1945. However, the difference in meaning of feedback as used in climate science and CT feedback as used in Control Theory is not relevant to determining the sign of CT feedback. The trends, like the five listed above, prove that CT feedback was not then and can not now be significantly positive. When the IPCC says that the max temperature increase with doubling carbon dioxide level is 1.2 °C if there is no feedback, it doesn’t matter what definition of feedback they are using. (Remember that I think that this increase is too high and that most of it has already occurred). Your failure to recognize that the sign of CT feedback in earth’s climate can be determined using Control Theory (and paleo temperature data) is understandable considering your lack of understanding of Control Theory. It is easy to understand the concept of enhanced GW. But the observations are that GW does not get enhanced. Some have proposed that clouds change to cancel it. Control Theory with paleo temperature data proves that GW does not get enhanced. so it looks like the GSM has ended. The good news is that the huge thermal capacitance of the oceans will calm whatever happens. It doesn't seem like Control theory has anything additional to add to climate science since climate scientists are fully aware of feedback loops and how they work. Of course there are different ways to measure a feedback; as long as the variables are defined, that is not a problem. ( Example: Say a radiative forcing R of 1 W/m2 results in an equilibrium change of 0.3 deg C temperature change T0 without feedbacks. R/T0 = 3.3 W/(m2 K) Now suppose water vapor adds a radiative feeback F1 = 0.5 W/m2 per 0.3 deg C, or F1 = 1/2 * R/T0; then let f1 = F1/(R/T0), so f1 = 1/2. So for f1 = 1/2, T/T0 = 2. The feedback might also be described by f2 = T/T0. And you could also use f3 = f2-1. O.K. Dan. Now we know what you’re looking at we can address your confusion. A very good data source for understanding what is happening in the Antarctic during these periods is the output of the new high resolution analysis of the European Project in Ice Coring in Antarctica (EPICA) Dome C core. This data resolve temporal relationships between temperature and greenhouse gas forcings (CO2 and methane) in the Antarctic and Greenland, and their relationships with latitude-dependent orbital forcings resulting from slowly varying oscillations of the orbital (Milankovitch) cycles. Jouzel, J. et al (2007) Orbital and Millennial Antarctic Climate Variability over the Past 800,000 Years Science 317, 793-796. 1. Outwith the major glacial/interglacial transitions (the intensity of which seems to be a function of the interplay between the obliquity and precession elements of the Earth’s orbital variation – Milankovitch cycles), the Earth’s orbital properties drive periodic “sub-transitions” within the glacial periods associated with small temperature rise and falls over periods of many thousands of years. 2. These are most closely linked with the obliquity component of the Milankovitch cycles. So the last interglacial period pretty much “sits” on top of the rising (warming) part of the obliquity period, and temperatures at the end of the interglacial fall with the falling (cooling) part of the period. The period between around 110,000 and 70,000 BP which saw temperatures rise a bit (by 2-3 oC in the cores, corresponding to 1.5-2 oC gobally) and then fall, associates with the warming and cooling phase of the next obliquity cycle. 3. Note that these transitions are very slow and involve very small changes in radiative forcing (around 1 W/m^2 max to min, from the obliquity component itself, but applied over several millenia), and result in very small changes in atmospheric CO2 (20-30 ppm rises taking many hundreds of years) as a feedback. 4. We can calculate the radiative forcing resulting from the changes in very small changes in greenhouse gas levels (Jouzel et al cited above very conveniently do this for us! – see their Figure 3). These are of the order of 0.5 W/m^2. Even at equilibrium, these are expected to give only around 0.4 oC contribution to the small warming during the rising periods of these events, including all the feedbacks associated with an approx 3 oC of warming per doubling of atmospheric CO2 [note that the enhanced radiative forcing arising from raised CO2 during the full glacial to interglacial transition is around 2-2.5 W/m^2 – see Jouzel 2007 Figure 3]. 5. So that explains the general slow rise and fall in temperature over the period that you are considering. These are driven by the obliquity component of the Milankovitch cycles, are associated with very small changes in atmospheric CO2 (around 10 years worth at current rates of anthropogenic release but rising then aroubd 50-100 times more slowly!) with associated small contributions to radiative forcing. 6. Within these temperature sub transitions there are “sub-sub-transitions” with even smaller temperature variations. These are what you are considering. These seem to occur independently of Milankovitch cycles. Analysis of temporal relationships with events in Greenland cores indicates that these match temporally with the Dansgaard-Oeschger (DO) events that are prominent in Greenland cores. 7. DO events are not completely characterized but most likely arise from ice sheet dynamics in the Arctic in which glacial expansion and discharge with massive periodic release of meltwater in the high latitudes temporarily shut off the Atlantic conveyer that draws heat from the mid latitudes to the high Northern regions. In time (centennial timescale most likely) the heat transfer resumes, and the high Arctic regions warm suddenly again. These events are “sensed” in the Antarctic cores but are significantly “damped” with respect to the rather abrupt changes observed in Greenland cores. The Antarctic warms a tad and cools a tad in phase (with a lag) relative to the DO events in Greenland. 8. So these phenomena are starting to be reasonably well understood. The main events, and sub-transitions are driven by Milankovitch cycles, with greenhouse gas feedbacks contributing amplification (warming in the warming phase of the cycles equivalent to around 3 oC of warming per doubling of atmospheric CO2 - perhaps more). The transitions within the sub-transitions are seemingly damped responses to DO events in Greenland that likely lead to very considerable and temporary changes in the ocean currents that carry heat from the low to high latitudes. 1)The Earth has a starting temperature, TE. 2)The absorbtion of the longwave radiation radiation (provided by the Earth) heats the atmosphere to temperature TA. 3)The heated atmosphere transfers 90% of it's energy back to the Earth, where it is absorbed causing the Earth to heat up even more. The Earth is now warmer than it was in (1) and TE has INCREASED. 4)The now warmer Earth radiates even more energy to the atmosphere where it is absorbed and causes the atmosphere to heat up even more. The atmosphere is now warmer than it was in (2) and TA has increased. 5)The now further heated atmosphere transfers 90% of it's increased energy back to the Earth, where it is absorbed causing the Earth to heat up even more than it was in (3). 6)The now further heated Earth radiates even more energy to the atmosphere where it is absorbed and causes the atmosphere to heat up even more. The atmosphere is now warmer than it was in (4) and TA has increased. The cycle continues over and over again, with each cycle producing more heating of the Earth and the Atmosphere. The link states that "...repeating the cycle described above, again and again, until no more longwave is available for absorption." which is wrong because it will never happen. Since each heating cycle produces more longwave radiative heat energy, the ultimate outcome is an infinite temperature increase of both the Earth and the Atmosphere. What starting temperature TE, is required to start these constantly increasing temperature cycles? Answer: TE must be greater than "absolute zero"....that is the ONLY requirement! It DOES NOT REQUIRE ANY ADDITIONAL ENERGY! "Interior has a mirror finish which reflects black body radiated heat back to the chicken, increasing its temperature. Warmer chicken will then re-radiate more infrared energy to the reflecting surfaces with additional heating occurring in a rapid cascade effect. Chicken must be above absolute zero when initially started. (Warning: observe temperature rise carefully and remove when internal temperature reaches 185 degrees). The only difference between "The Greenhouse Effect" link process and the "Free Energy Oven" link process is the 90% back radiation vs the 100% reflectivity of the "oven". Both descriptions produce "free energy" (created energy) and both are "positive feedback" systems. Both are perpetual motion machines in a positive feed-back loop. I skimmed part of it. "Increasing the Earth's temperature would cause the oceans to evaporate greater amounts of water, causing the atmosphere to become cloudier. " That's not necessarily true; more water vapor does not automatically lead to more clouds if the temperature increases. Furthermore, clouds also contribute to the greenhouse effect. Whether adding or removing some cloud causes warming or cooling depends on various factors, including height, latitude, and time of year and time of day. "The heating of the ground by the longwave radiation causes the ground surface to once again radiate, "
to the atmosphere and space balances the downward radiation from the atmosphere absorbed by the surface; this includes the initial flux, the increase due to the greenhouse forcing change, and the increase from the temperature increase of the atmosphere. There is no reason to expect that this cannot reach an equilibrium value. Furthermore there is no creation of energy; before (other) feedbacks are considered, the solar heating rate is constant, so the increase in temperature whereever it occurs is the result of imbalances in fluxes where heat is being stored; the increase in emission due to an increase temperature restores balance once heat has been stored to raise the temperature sufficiently. It is like narrowing the width of a river channel; the water levels change until the difference in water levels is sufficient to drive a faster flow through the narrow portion, which then balances the flow so that the water levels stops changing. R(z) is the net upward LW radiant flux + vertical convective heat flux (in this context, includes evaporation and diffusion of water from the surface into the air, and conduction between the surface and the air) at height z.
F(z) is the horizontal export of heat, and in the global average, is zero for each value z. And instead of solving the equation for T(z'), just use initial T(z'), and calculate G(z). dT(z')/dt = G(z')/C(z'), where C(z) is the heat capacity per unit area per unit z. For each time step dt, add dT(z') to the previous T(z'), and repeat. What may be confusing about the explanation you were looking at is that, instead of finding T by iteration given the totality of S, R, etc, they instead focus on one package of energy, and look at what happens to it in the process of entering, moving through, and leaving the system, using an iterative description (as I did in comment 274 above: http://www.skepticalscience.com/argument.php?p=11&t=418&&a=18#2884 ). While the iteration is described as steps in a sequence, it must be kept in mind that the steps being described are not happening one at a time; each starts the moment the other is in process (as soon as some of the energy in a package reaches a point, some can start to leave that point). Each step taken in isolation could appear to violate the second law of thermodynamics (especially if a set of proportionalities are assigned to all the points where the energy flow splits where each proportionality is constant from one full cycle to the next), but that is not a problem because the steps can never actually happen in isolation, and a constant proportionality set applies if this is occuring in the context of an equilibrium state where other packages of energy are continually being added so all steps are occuring at a constant rate. And as each step is occuring for one package of energy, a new package of energy is delivered (from the sun), so - if in equilibrium - all the steps are occuring constantly at a fixed rate. For a given package of energy, after each cycle, some fraction has escaped to space. Thus the amount that remains in the climate system decayse exponentially - it never reaches zero but it approaches that value. When packages of energy are delivered continuously (from the sun), then the total energy in the system approaches a constant value (in this simplified description that sets aside daily and annual cycles and internal variability), where the sum of the decay of all remaining portions of all previous energy packages is balanced by the rate of delivery of new packages. This works mathematically: it is possible to reach a finite equilibrium even though none of the packages ever is perfectly 100% gone. What happens if S = 0?